Anyone going? Watching? I may live stream my runs on Facebook. I know Bruce Bellom is going against me in HS. This will probably be my only pro this year. So I just got back. What a tough battle! 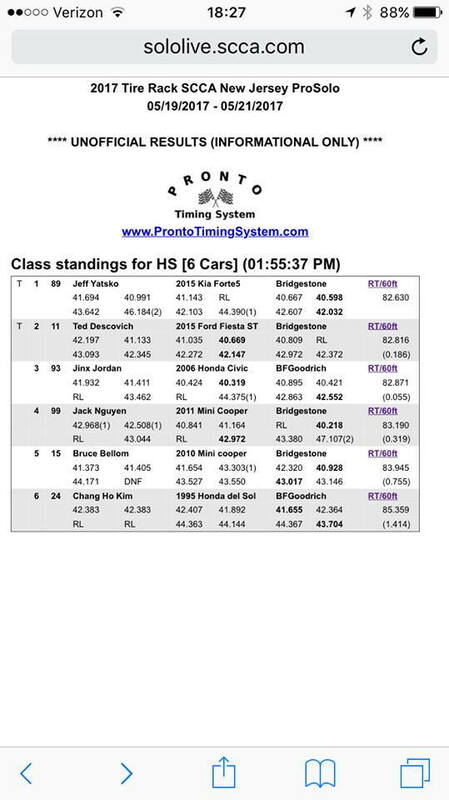 I was able to beat Bruce Bellom who was also my Phase 2 Evolution Performance Driving Instructor last year. I guess these schools really work. He was very happy. However I was 4/6. I did pretty bad on the right side and made up on the left. I had the fastest raw Left side in HS! However it wasn't enough for a trophy spot. Here is my fastest right side. There's a lot of time to be had. Fast left... also Fastest in class for left side. Last edited by JN2k108; 05-21-2017 at 04:47 PM.